This week begins the Southwestern Association for Indian Arts (SWAIA) 93rd annual Santa Fe Indian Market. This is a major event in Santa Fe that brings artists, collectors, and visitors from all over the world to see and learn about contemporary Native arts and cultures. After visiting the local pueblos to gauge their responses to the plan, the Saturday Indian Markets went ahead. 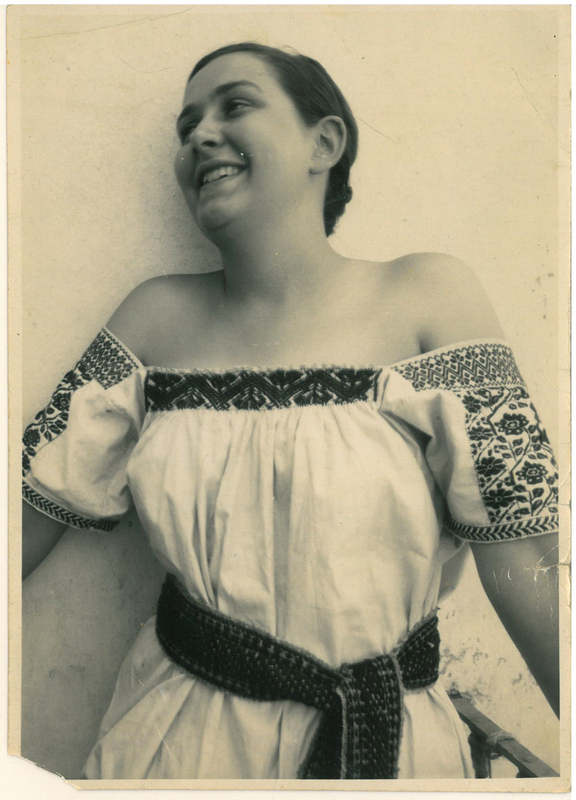 Unlike the past fairs, Chabot solicited participating artists directly, asked their help in publicizing and judging the markets, and encouraged artists to set their own prices and sell directly to the public. Buses brought Native American artists to Santa Fe throughout the summer, with a different pueblo featured each Saturday and awards given. In the end, the Saturday Indian Markets were a great success and integral to the evolving Santa Fe Indian Market. 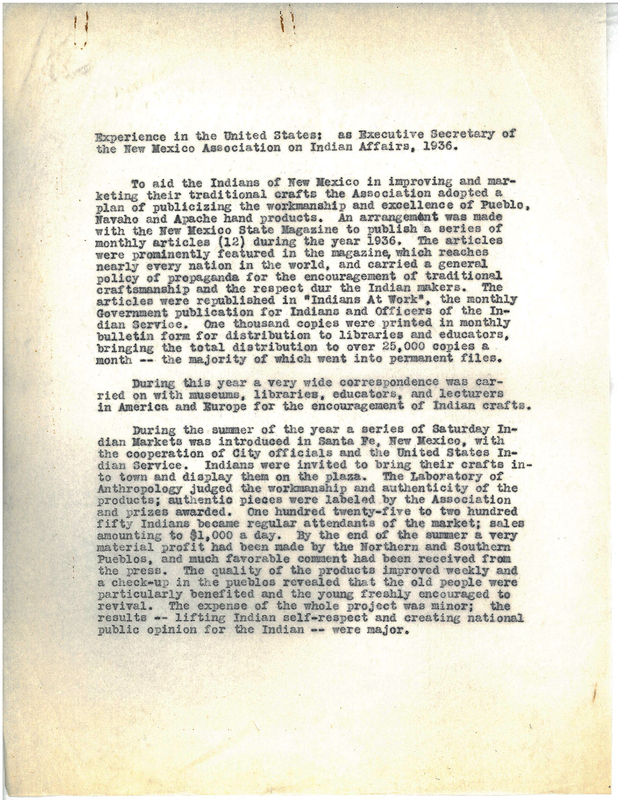 Below you see Chabot’s typed description of her role with NMAIA and the development of the 1936 Saturday Indian Markets as well as a photograph of Maria Chabot in Mexico from 1933.